Modular vs Non Modular PSU - Is a Modular Power Supply Worth It? Should You Buy a Modular PSU? 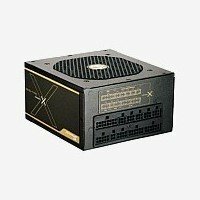 What is the difference between a modular PSU vs regular PSU? Find out whether you should be buying a modular power supply or not. Until a few years ago, most consumers paid little or no attention to their computer power supplies - They would splurge on a bleeding edge CPU and monster graphics card, only to cheap out on a inferior power supply unit. Nowadays people are finally realizing that a reliable power supply is the most critical component of a computer, and this has led to the growing popularity of power supplies with high efficiencies (see our "Should You Buy a 80 Plus Power Supply" article) and modular designs. What is a modular power supply unit? In simple terms, it is a power supply where some or all of its cables and connectors are detachable; This is different from a regular power supply where all its cables are permanently fused to the unit. Click here for our buyer's guide to the best computer power supplies. Power supply cables take up the bulk of space inside a computer case. Unless your computer has 12 hard drives, 10 case fans and quad graphics cards, you won't be needing all of these cables. By detaching unused power cables from a modular power supply, you will typically end up having three to four less cables within your computer case. That's at least 1.5 meters (5 feet) less cables snaking inside your case and hiding in your drive bays. Having less cables to grapple with also makes cable management easier, saving you time and effort. If cable management is a priority for you, then a modular PSU is worth it. Unless you have a high end case with superb cable management features, buying a modular power supply is the easiest method of achieving a neat and atheistically-pleasing computer interior. With less power cables and connectors collecting dust and clogging up the insides of your computer, the air flow inside your computer case is going to improve. This will in turn lower the operating temperatures of your internal components, allowing them to last longer and overclock better. A modular power supply is a godsend for those working with small form factor cases (e.g. Mini-ITX cases). In addition to their obvious space constraints, miniature cases tend to have very limited cable management features as well (e.g. no specialized spaces, gaps and holders to route and hide cables). Since everything in a small form factor case is packed so close together, you can even swap out your standard length (~60 cm) power cables with shorter ones (~35 cm). This frees up even more space within your computer case. This is a point that you rarely see people bring up, but it's certainly worth mentioning. Whether you're replacing a faulty power supply or removing it for routine cleaning, uninstalling a modular PSU is a breeze - You just have to detach the power connectors from the unit and unscrew it from the computer case. The power cables will still be connected to the different components. 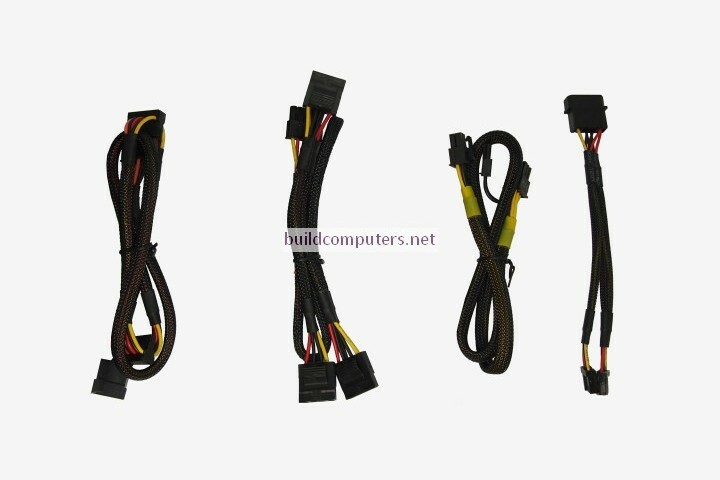 To remove a regular power supply unit, you will have unplug the power connectors from all internal components (motherboard, hard drives, optical drives, graphic cards, case fans etc.). In the process, you'll also undo any cable management that you may have painstakingly set in place. 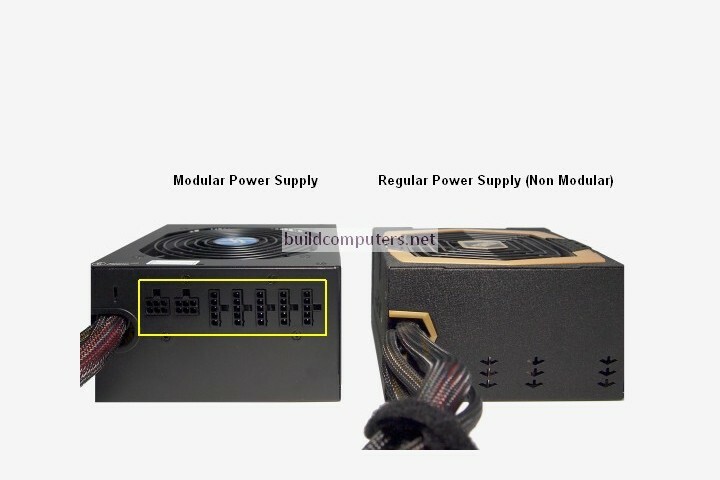 Modular vs non modular PSU price: All things being equal (same brand, same wattage, same efficiency, same form factor), a modular supply will cost 10 to 20% more than a regular power supply. Fully modular power supplies command slightly higher prices than semi modular ones. In theory, using detachable power connectors (vs hard wired connectors for regular power supplies) will increase electrical resistance and therefore lower the efficiency of modular power supplies. The connecting ends of a modular power cable may also be defective or loose, causing damage to the power supply and other components connected to it. It was reported by TomsHardware back in 2009 that even top tier PSU manufacturers such as Corsair, Enermax and Seasonic advised customers to go for regular power supplies if they wanted maximum efficiency. It has to be mentioned that those were considered early years for modular power supplies and their manufacturing processes have since improved. In real world usage, most computer enthusiasts and hardware reviewers agree that there is little negligible power loss between a modular and non modular PSU. What matters most is that you choose a high quality power supply from a reputable manufacturer (be it modular or non modular). - Click here to see which power supplies we recommend for different types of computers.